With the tenth anniversary of the financial crisis upon us, I have been thinking about the sneaky way in which the bank fortunes of shareholders can be wiped out in a single turn of the investment cycle because lending institutions are so incredibly leveraged that a sharp uptick in unallocated-for defaults can wipe out decades of equity in a matter of months, if not days. I took the 2008-2010 financial crisis as an important exhibit of the fact that balance sheets always matter, and eventually, leveraged trash collapses into the heap. On the upside, banks and other institutions with strong balance sheets can provide an often neglected source of real, sustainable wealth because no one pays attention to them during the good times when the relatively more leveraged institutions are prospering and during the bad times chastising the collapsed entities for their lack of prudence makes a better story than commending the diligent for their efforts. In that spirit, I continue to be struck by the sound lending practices at U.S Bancorp (USB), one of those quiet Midwestern banks that grows stronger year by year with hardly anyone noticing. Its five-year loan growth rate is 7.0%, which sounds so-so, but the incredible is that over 90% of those loans are investment grade. In short, U.S. Bancorp loans money to people and entities who can pay it back, and that is really good for shareholders. The downside of U.S. Bancorp’s insistence on high-quality loans is that it charges lower interest rates for loans, making U.S. Bancorp one of those rare banks where the expected earnings per share growth lags the the growth rate of loans (five-year consensus calls for 6.5% earnings per share growth). Some analysts cite this lower growth as a flag, but I do not share that criticism because being prudent always comes with a short-term disadvantage. U.S. Bancorp maintains reserves three times as large as its current default rate–that may seem like stagnant capital now, but any lending institution would have killed to have that kind of balance sheet entering 2008. People sometimes forget that finding yourself in a position of strength during the lean years requires the slower growth that is the result of the accumulation of capital during the boom years. Rumoredly at the urging of Warren Buffett, CEO Richard Davis has moved more of U.S. Bancorp’s future initiatives into growing out asset/wealth management divisions rather than rolling forward exclusively with the loan portfolio. Despite his public advocacy of index funds, Buffett knows where the cold, hard cash still gets made, and it’s in managing other people’s money because the costs are tiny once an investment team has several hundred million dollars under management. My expectation is that U.S. Bancorp is the prototype of 10% annual returns. You might see some capital appreciation, you’ll get your 2.2% dividend yield, and you might get long-term earnings per share growth in that 7-8% range with interest rates rising (meaning that even conservative loans pay more) and the further development of U.S. Bank’s asset management services. 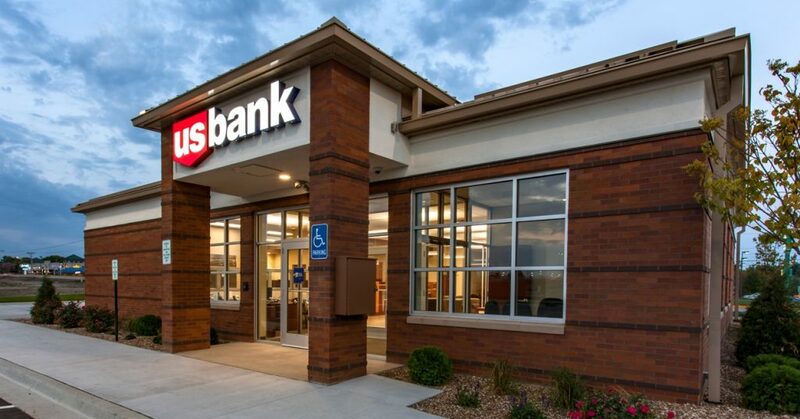 I have never bought any shares of U.S. Bancorp because it has never been the most attractive stock out of all under consideration at any point in the past seven years or so, but I respect the stewardship. For bank investors, I think it can be too easy to get the question wrong. The question isn’t “Show me the fastest growing banks, and only remove those banks from consideration that have stupid leverage” but rather the inquiry should be “these are the safest, most prudent banks, and of these, I prefer x for its growth characteristics because of y.” The former inquiry is conducive to short-term speculation that will lead to see-saw results, the latter is the foundational inquiry of sustainable wealth-building. I don’t think U.S. Bancorp is the best vehicle to go from modest means to wealth within a generation, but if you have accumulated a good chunk of stock in this bank, it won’t let you down.